SCT Centre is SOS Children’s Villages Italy’s partner in the psycho-social intervention program “I do not travel alone”. The project aims to improve the reception and protection system of the recently arrived Unaccompanied Foreign Minors. 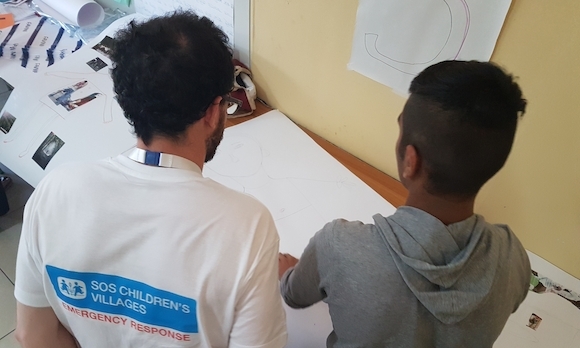 To reduce the risk of their social exclusion, SCT Centre runs several SCT™ workshops in the reception centres for young migrants which could strengthen their soft skills, such as self-esteem, positive emotions, problem solving and critical thinking. 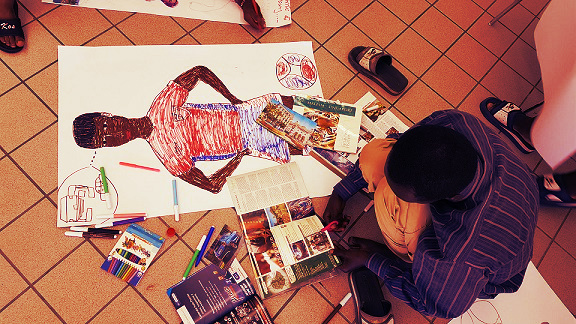 On June 20, 2017, during the World Refugee Day, was held the exhibition “Beyond the Mirror” in the Crotone Promenade (Calabria Region). The exhibition had the goal to announce the new project of SOS Children’s Villages Italy in partnership with SCT Centre: the psycho-social intervention program “I do not travel alone”, which aims to contribute to improve the reception and protection system of Unaccompanied Foreign Minors. The exhibition included some mirrored panels where the migrants have been portrayed in their daily actions, so that the bystanders could look at themselves in the mirros and, at the same time, look at the portraied foreign minors. This allowed to change the passive role of viewers, seen not as simple observers but as an active part of the ‘picture’. The viewers had the opportunity to interact with the figures represented, to shoot a selfie and post it on social media with the hashtag: #IoNonViaggioSolo. On 20th and 21st June 2017, in Piazza Marinai d’Italia, the performance “Storie Migranti”, organized by the Social Community Theater Centre, took place: an engaging and symbolic show featuring the stories of some Unaccompanied Foreign Minors recently arrived in Crotone.